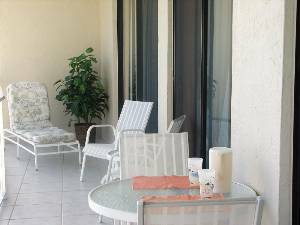 Come enjoy the warm Florida sunshine at our spacious deluxe 2 bedroom 2 bath beachfront condo. 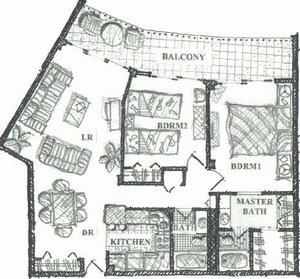 You'll find all the amenities of home. 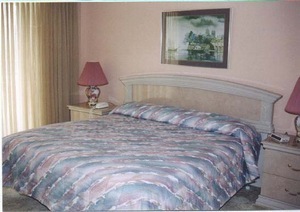 The recently remodeled luxury accommodations include king size master bedroom and a new open Corian kitchen. We are located on the 15th floor overlooking the heated pool with a fabulous view down the sandy white crescent beach of beautiful Marco Island. The living room and both bedrooms face southwest and have access to a large private balcony offering great breathtaking Gulf and beach views. 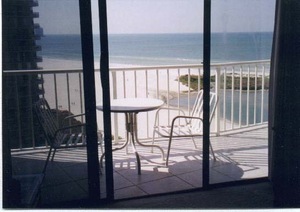 Walk out of the building onto the sand and enjoy the beautiful warm waters of the Gulf of Mexico. 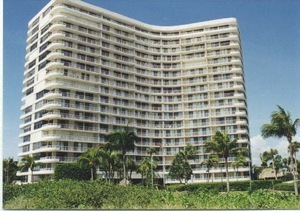 Marco Island has a sub tropical climate with a yearly average of 74 degrees. Even during the summer months, the island is swept by fresh breezes off the Gulf of Mexico. Come to Marco anytime of year and enjoy our Sun Fun Paradise. Marco Island is only one hour south of Ft. Myers or two hours west of Miami and Ft. Lauderdale. The gated complex features: lush tropical landscaping, heated swimming pool, 10 tennis courts, exercise room, garage parking, boat docks, security & much more! What to do on and around Marco Island? Relax & watch the dolphin, play nature lovers, see pelicans, bald eagles, and egrets stroll the beach. Collect shells & sand dollars. There are water sports rentals (parasail, wind surf), Everglades air boat rides. Fish from the beach or docks, play golf (7 public golf courses within 15 minutes), enjoy boating (daily trips to Key West, sunset cruises, fishing charters). Enjoy fine restaurants, excellent shopping, nightly entertainment & watch beautiful sunsets. 10 Tennis Courts on property, Boccce Ball Courts and Shuffle Board Courts Washer/Dryer on same floor, Exercise Room in complex. The gated complex features: lush tropical landscaping, heated swimming pool, 10 tennis courts, exercise room, garage parking, boat docks, bocce ball courts, shuffle board courts,security & much more! 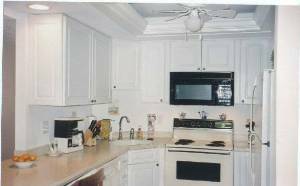 cable HDTV (2), VCR, stereo, cassette, phone, private 32' balcony, covered parking heated pool, 10 tennis courts, exercise room with treadmills and weight machines, gated community. Activities: What to do on and around Marco Island? Relax & watch the dolphin, play nature lovers, see pelicans, bald eagles, and egrets stroll the beach. Collect shells & sand dollars. There are water sports rentals (parasail, wind surf), Everglades air boat rides. Fish from the beach or docks, play golf (7 public golf courses within 15 minutes), enjoy boating (daily trips to Key West, sunset cruises, fishing charters). Enjoy fine restaurants, excellent shopping, nightly entertainment & watch beautiful sunsets. 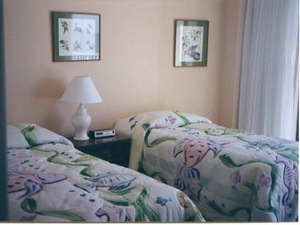 Very Special Summer & Fall Rates Discounts for extended stays. Out of Season Specials. Deposit: 1/2 Rent at time of reservation. Balance due 90 days prior to arrival. Cancellations and Refunds: Prepaid rent will be refunded (less $75 service fee) if request for cancellation is received 90 days prior to scheduled arrival date.